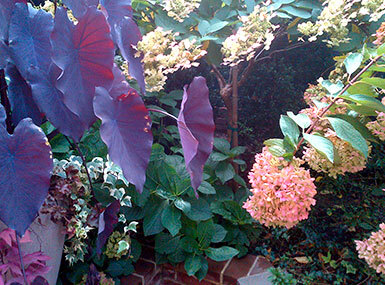 The Artist Garden is a Brooklyn based landscape and garden design company. 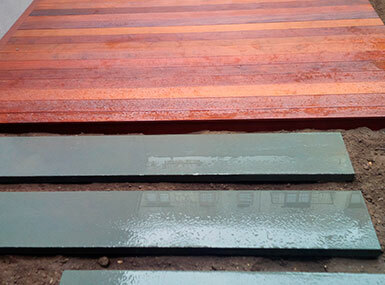 With a focus on hardscape design, we specializes in garden stone work, Bluestone, and patio installation. Landscaping services include all aspects of garden, deck, patio and rooftop installation from planting to irrigation and lighting. 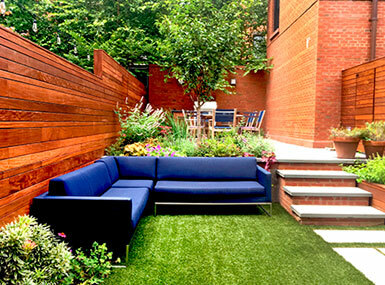 With over 20 years experience designing and building residential and commercial gardens, Landscape Designer James Stephenson skillfully and creatively brings a personal and professional approach to the design and implementation of each project! Thought you might like to see the garden in action! We are enjoying it every day, and there is enough light now to grow flowers. Bob propagated lilacs and hydrangeas in our Sea Cliff yard and transplanted them here and they are already in bloom! Thank you for this splendid slice of paradise in Brooklyn! Thanks for all your great work. We appreciate how efficiently The Artist Garden handled everything. The yard looks amazing – we couldn’t be happier. Thank you so much for your help and expertise! We are very Happy!!!! Excellent job!!! The garden still looks fantastic– we couldn’t be more pleased with the work you did last Spring!